Itâ€™s becoming an annual tradition — the multimedia Christmas show projected onto the triumphal arch in Comercio Square. Twelve projectors will present a 15-minute family-friendly show from December 11th to the 20th, at 7PM, 8PM and 9PM. As this is a public square, itâ€™s a free event for all. 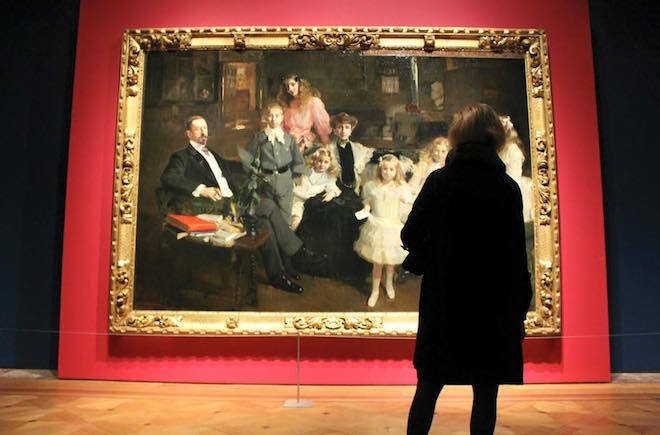 An extraordinary collection of works by Goya, El Greco and other great Spanish painters is now on display at the Ancient Art Museum until April 3rd, 2016. Itâ€™s a total of 60 paintings from the 15th to the 20th century, and tickets are 7 euros. This is also a great opportunity to check out the museumâ€™s permanent collection of Portuguese treasures, which is free with the Lisboa Card. 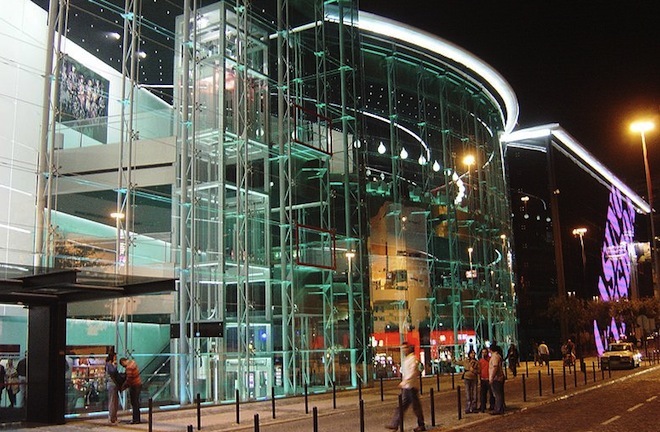 Lusitania was the name of the Roman province in Western Iberia that is mostly modern Portugal, and Lisbonâ€™s National Archaeology Museum is presenting the art and culture of that time. Itâ€™s showing around 200 pieces from several museums in Portugal and Spain, including mosaics and sculptures. The exhibition lasts until June. Check out two new restaurants from two of the cityâ€™s top chefs. 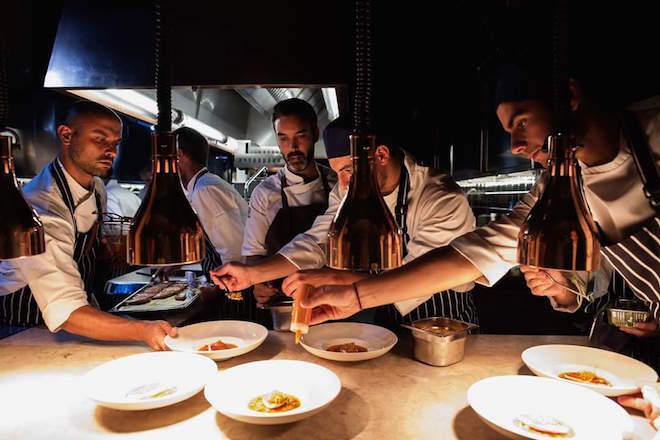 The first one is Alma, from chef Henrique SÃ¡ Pessoa, which previously existed in the Santos district, but has now moved to Chiado (Rua Anchieta, 15 ). Only the name remains from the previous restaurant, although the chefâ€™s innovation is still there. The menus and the decor have changed, now serving contemporary Portuguese cuisine with some Asian influences. The second restaurant, also of fine dining, is Loco, found facing the back of the Estrela Basilica (Rua dos Navegantes 53B). This is where chef Alexandre Silva expects to surprise you with his most creative dishes. It happens every year — the medieval village of Obidos is turning into the â€œChristmas Villageâ€. 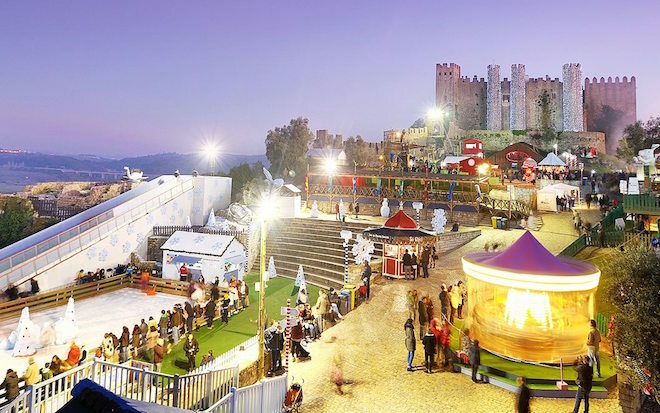 Just one hour north of Lisbon, itâ€™s presenting several holiday-themed family activities around its castle and narrow streets, from December 4th to January 3rd. From December 7th to the 21st, there will be free Christmas concerts in several of the cityâ€™s churches. Some of the highlights: In SÃ£o Roque Church on the 12th at 9:30PM, in GraÃ§a Church on the 14th at 4PM, and in SÃ£o Domingos Church on the 20th at 9:30PM. There will also be a special concert of the Lisbon Metropolitan Orchestra on Sunday the 21st, at 5:30PM in SÃ£o Luiz Theater. 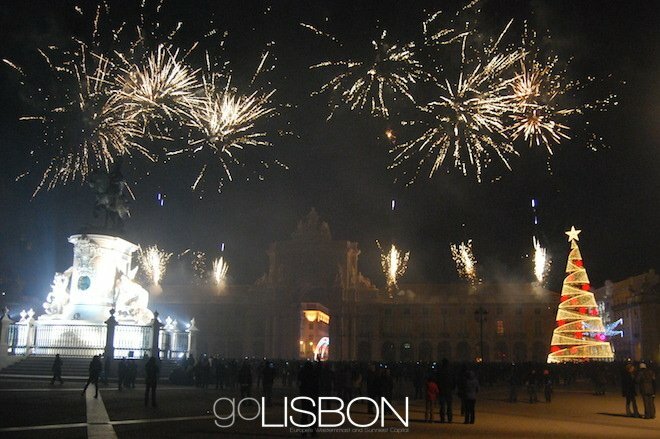 From the 12th to the 28th youâ€™ll find a Christmas market in the cityâ€™s largest square, PraÃ§a do ComÃ©rcio. 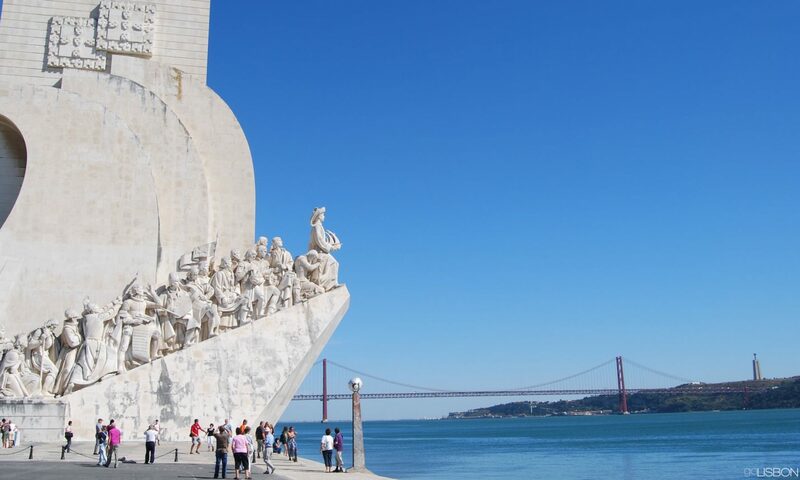 Itâ€™s the perfect opportunity to find something special from Lisbon for a gift. As always, the major New Yearâ€™s Eve celebrations will also take place in Comercio Square, with the usual fireworks at midnight. There will be plenty of live music before that, and you may grab a seat for a meal or drink at one of the many tables surrounding the square. 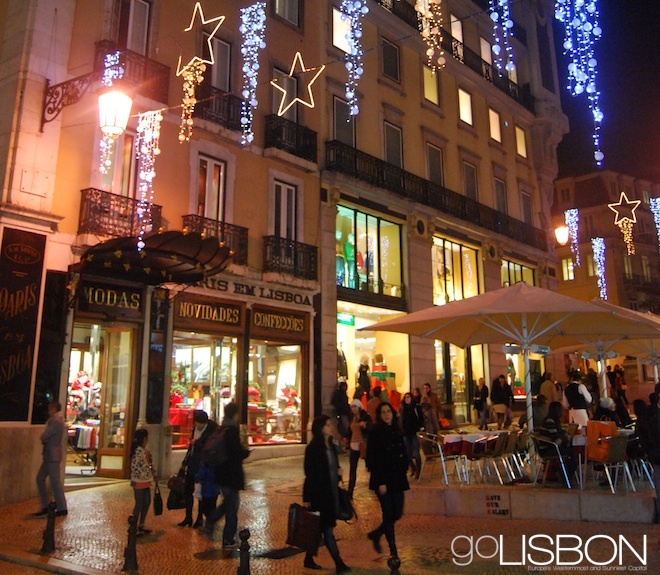 If youâ€™re in Lisbon this Christmas, you should know that most of the city will be closed on the 25th. Thatâ€™s most of the city, but not all. Youâ€™ll find several things to do on that day that have a special appeal for families. On the 24th many attractions close earlier, but are open during the day. 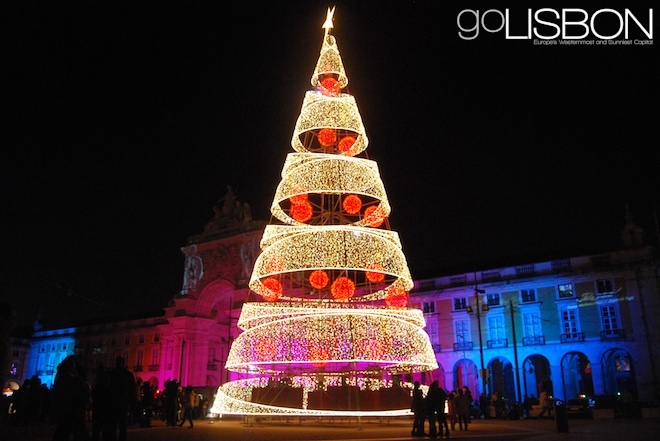 Here is what you can do in Lisbon on the 24th and 25th of December. A â€œChristmas Villageâ€ has been set up on Edward VII Park, and is already open every day until 8PM. The only exception is on the 24th when it closes at 6. 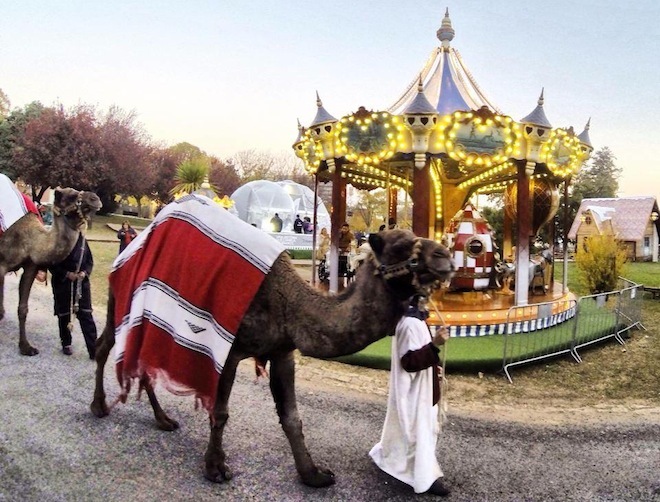 Youâ€™ll find real reindeer, camels, Santa Claus to take photos with, and rides to keep children and adults happy. It charges admission: Children up to 11 years old pay 8 euros on weekdays and 10 euros on weekends; adults pay 10 euros on weekdays and 12 on weekends. 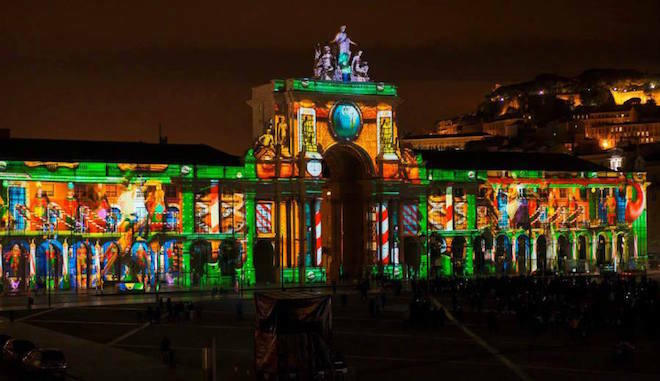 From the 13th to the 24th, Comercio Square will be the stage of a Christmas-related 3D multimedia projection on the walls of the arcaded buildings and triumphal arch. It happens every 6, 7, 8, and 9PM, so on the 24th you can experience some Christmas magic before your Christmas eve dinner. The zoo is open every day throughout the year, so itâ€™s a good family attraction on Christmas day. 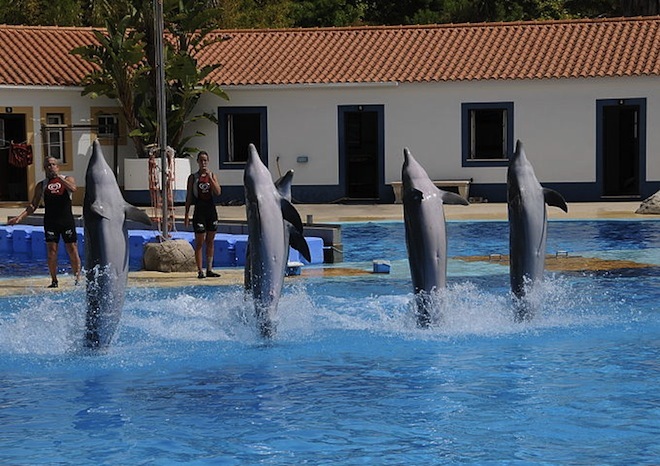 It has everything you expect from a zoo, but the star attraction is the dolphin show. If you prefer sea creatures and the indoors, head to the Oceanarium. 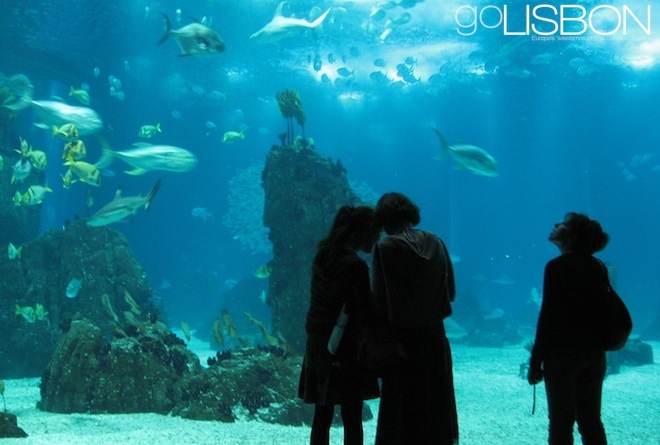 Itâ€™s one of the worldâ€™s largest aquariums and is open on the 25th, although with a special opening time of 1PM to 6PM. For a more mature attraction where children are now allowed, thereâ€™s the casino. Itâ€™s a short walk from the Oceanarium and is open on Christmas day from 3PM to 3AM (it closes on the 24th instead). In addition to the slot machines and gaming tables, there are also a couple of restaurants. Spainâ€™s biggest national museum, the Prado, is lending a few of its masterpieces to Portugalâ€™s biggest national museum, the Ancient Art Museum. Itâ€™s part of a program of exchange of works between the two museums, and from Madrid to Lisbon will be brought around 60 paintings from masters like Rubens and Brueghel. The exhibition opens on December 3rd. From now until January 26th you can see â€œThe Splendor of Cities: The Route of the Tileâ€ at the Gulbenkian Museum. The collector that gave Lisbonâ€™s most acclaimed museum its name was an admirer of tiled art, and this exhibition is a wonderful complement to a visit to the cityâ€™s Tile Museum. It remembers how tile is a feature of cities throughout the Mediterranean and beyond to central Asia, and on display are works from Spain, Italy, Netherlands, Persia and India. He grew up in Lisbon and studied in London, but it was in Paris that Felipe Oliveira Baptista became a successful fashion designer. Lisbonâ€™s Design and Fashion Museum now presents a retrospective exhibition of ten years of his creations, until February 16th. As always at this museum, admission is free. The Medeiros e Almeida Museum is Lisbonâ€™s most surprising museum and still one of its most overlooked. Now and until December 31st, you may celebrate 500 years of the arrival of the Portuguese in China with the exhibition â€œChins and Guo Yan Ta Xi.â€ Itâ€™s a collection of Chinese works of art, including textiles, porcelain, and furniture, spread around the works permanently displayed in the museum. The Good Planet Foundation has set up a temporary exhibition (until January 6th) at Lisbonâ€™s famous Oceanarium, presenting unique perspectives of the worldâ€™s oceans through aerial and underwater images. Theyâ€™re accompanied by descriptions alerting to the threats that the oceans face today. Until December 15th, one of the turrets of Comercio Square hosts an exhibition that takes you back to Lisbon during WWII. The images and objects on display show how the Portuguese capital was the European safe haven at the time, and how everyone from the lower to the upper classes of Europe used it to escape the war. The final destination was to be the Unites States, but as they waited for their documents, Lisbon became a strangely peaceful and free city. From November 29th to January 6th, Edward VII Park will be a â€œChristmas Villageâ€ where families can meet Santa Claus and real reindeer. Always with a view of Lisbon as a backdrop. As the Christmas season approaches there is a series of concerts in Lisbonâ€™s churches. Every weekend evening until December 1st there are concerts in SÃ£o Roque Church, and after that, throughout December, there are more in other churches downtown. For free. The most spectacular Christmas-related activities in the Lisbon region are not in the capital but in the medieval village of Obidos. Known for its festivals throughout the year, the village is also home to the big “Christmas village” festival every December. This year it happens from the 10th to January 2nd, and in addition to the annual ice skating rink and house of Santa Claus, the 2010 edition also features an ice bar and a “chocolate lounge” (Obidos is also the stage of an international chocolate festival in early spring).